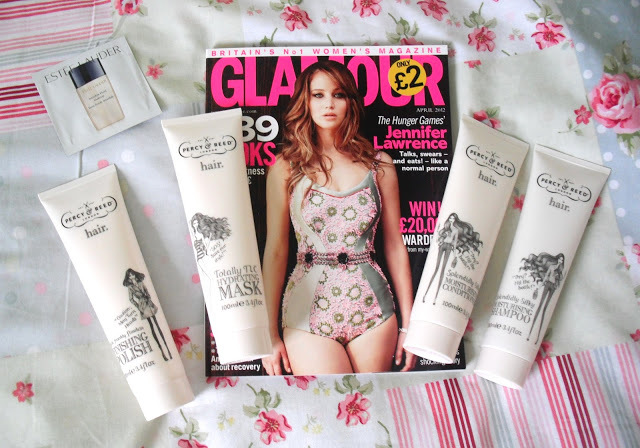 This months (April) Glamour magazine comes with a free hair product from Percy and Reed, for only £2! There are 4 different products available as the free gift, and I picked up all 4 (greedy…oops!). This post is a little late, as the magazine was actually released at the end of February, so it won’t be in stores for much longer before the May edition is released. The products are worth approximately £8 each, which makes it a good freebie! The magazine has Jennifer Lawrence on the front cover, looking very gorgeous and curvaceous, and there’s also an Estee Lauder Infallible Liquid sample in each magazine (useful for keeping in my handbag). First of all, the packaging is very lovely, I like the artistic pretty drawings on each bottle, and the stylish fonts and neutral colour. I also like that the bottles are all the same, as I like my things to be consistent! Secondly, each and every product smells AMAZING! Mmmm they all have the same sweet, strong smell and it is so fresh and I love it! It smells more like a body lotion than a hair product. I was really looking forward to trying them out. I used the shampoo, conditioner, and hydrating mask on my hair, and I wasn’t very impressed at all unfortunately. The products claim to be ‘moisturising marvels’ containing lots of nice ingrediants to nourish your hair. I seemed to have to use a lot of product to ‘spread’ it around evenly as it didn’t foam at all or lather up. 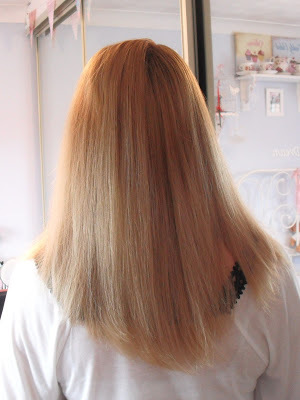 And I was very disapointed with the conditioner and the hydrating mask, as usually when I use a conditioner, my hair feels instantly smoother as I run the product through my hair. I felt like I had to keep adding more product so that it went on evenly and I didn’t miss any patches. As I smoothed the conditioner into my hair, my hair still felt brittle, not smooth or hydrated. After rinsing the products out of my hair, I towel dried it and then gave it a quick blow dry. This is how my hair ended up looking after drying. It looks horribly dry and frizzy. 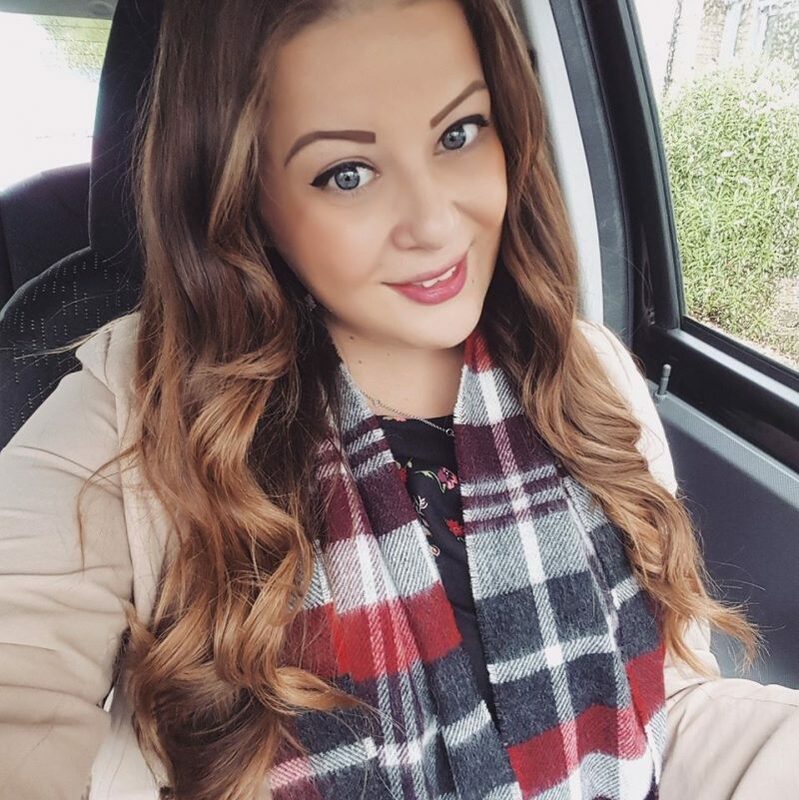 My hair is pretty damaged which is why I like to use a mask frequently, and my hair is always normally much more healthy looking after using any other conditioner. It may not look much different to usual, but it feels horrible. Very, very dry and damaged, I think that the conditioners did no good at all. On the plus side, I will continue to use the finishing polish when I have my hair in curls, as it does provide some hold and smells amazing. I am disapointed as I had such high hopes for such a luxusious looking brand, that smells so lovely! It’s a shame, but I will carry on using cheaper drug-store brands rather than looking at salon brands for now. I love the cover girl, shes a proper woman!